With over 4,000 American stocks to choose from, there are always opportunities for moneymaking options trades. The problem is finding them. 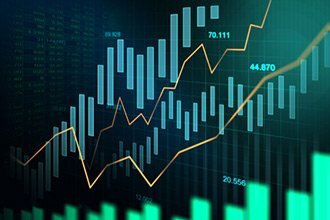 Money Morning's options trading specialist, Tom Gentile, has figured out how to cut through the clutter to find stocks ready to move – and make you real profits. In fact, he just found six of them. What he does is start with 10 years' worth of data on the top-performing 250 stocks and ETFs in the market to find only those stocks with a 90% or better chance of doubling your money. Tom expects the stocks making it through his filter to trigger a 100% gain in five weeks tops. Now, the price of the stocks isn't going to double. But by making the best options trade, your money will. Traders aren't content to buy and hold stocks for years to slowly grow their money. That's why we turn to options contracts to multiply the moves of their underlying stocks to give us what we want. Big profits in little time. When we find a stock that is in a steady uptrend, a small investment in the right option can really accelerate those gains. Think about it. If a stock trades at $60 per share, a 10% move in the stock gives us a price of $66 and a $6 gain. That's nice if you're a shareholder, but it's nothing you'll brag to your friends about. However, an option on that stock trading at $3 could easily go up $3 for a 100% gain. That's because each options contract gives you control over 100 shares of the stock. Of course, there is no free lunch. Options trading comes with higher risk, but that's why we implement a risk-control strategy. Gentile's system looks for stocks in strong uptrends. Top on his recent list was Xerox Corp. (NYSE: XRX). That means we've found a stock that has already proven it can move higher. Here's what Xerox's stock chart looks like. Note the strong rally phase in green. The slope of that phase is 41.2%. Since the start of the year (actually a few days before), this stock has been in a strong rally. Technical traders assume the trend will continue until the weight of the evidence says otherwise. If it does appear, we cut the trade short and move on the next opportunity. We never ride a stock – or option – as it moves against us. Losses are cut, and we live to take the next trade with only a little damage to our wallets. That's part of the strategy to control risk. But finding a stock with an uptrend pattern is just half of the equation. Next, Tom looks to find if these stocks have options that can at least double in price. For Xerox, the system spits out a specific options contract and how far the stock has to rally for the options to do so. In this case, Xerox stock only needed to rally 8.51% for the April 2019 $32 option to double. In other words, if Xerox rallies from its recent price of $30.89 to $33.52, the option value doubles. That's the power of options! Now it's time to set up the actual options trade so you can double your money on another one of the stocks Tom's system found. could you clarify the buy price for the HBI April 18 $20. calls. The alert does not make sense.